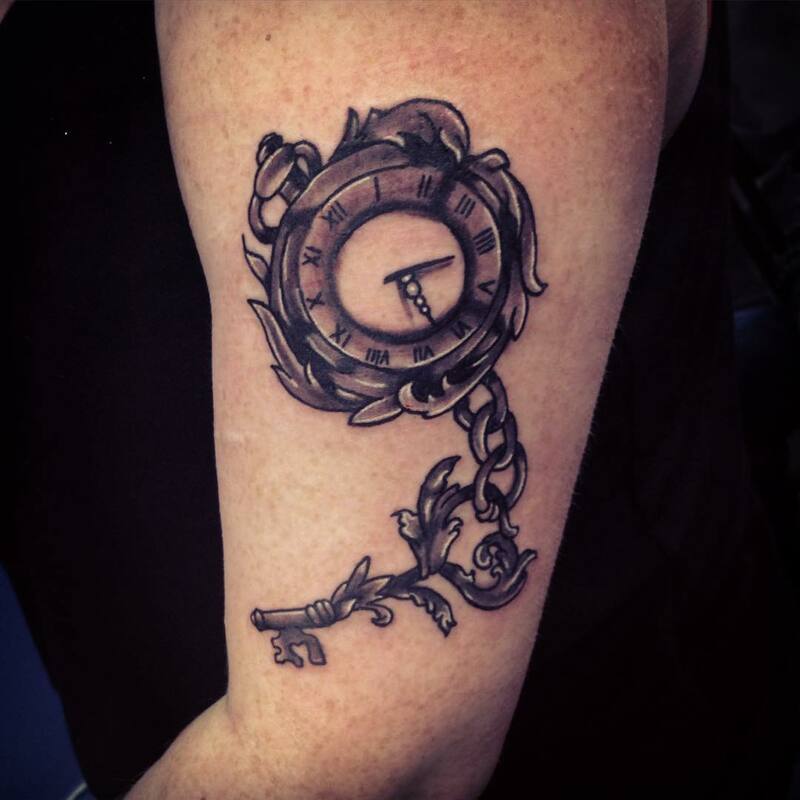 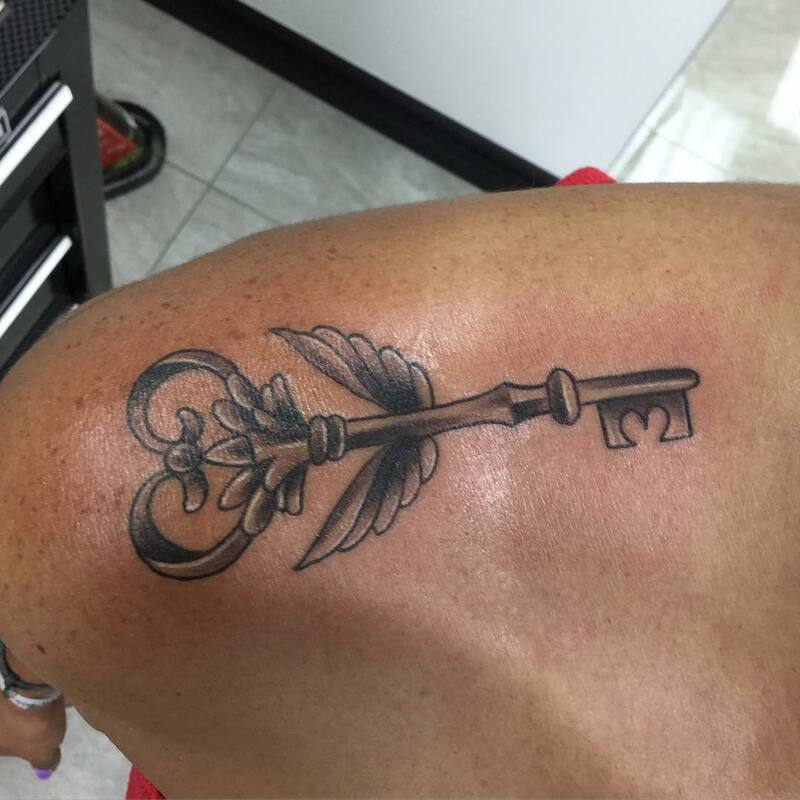 Ever known since the Victorian era, key tattoos are one of the most popular and meaningful tattoo designs. 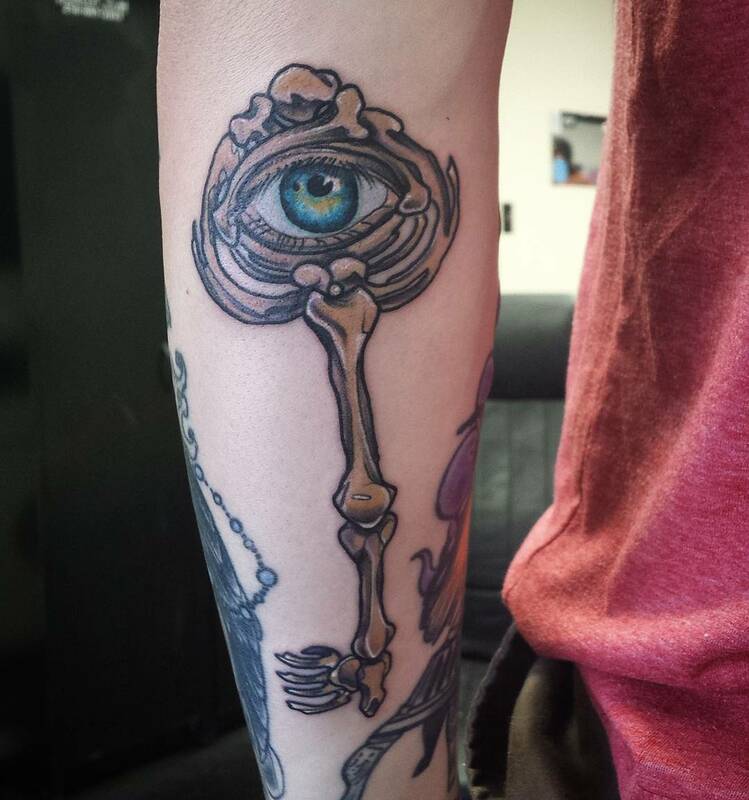 It is mostly used as a metaphor and a symbol of secret. 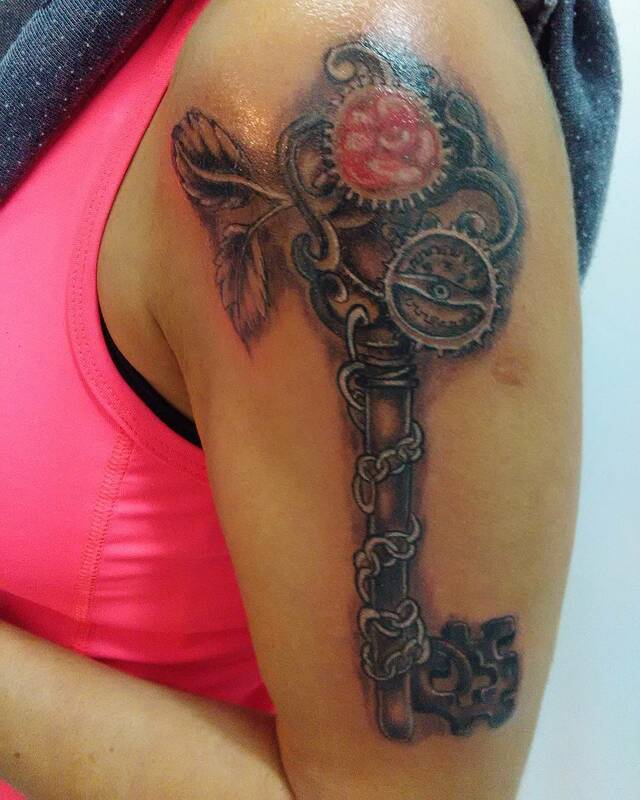 It symbolizes mystery because you really don’t know what it unlocks for you! 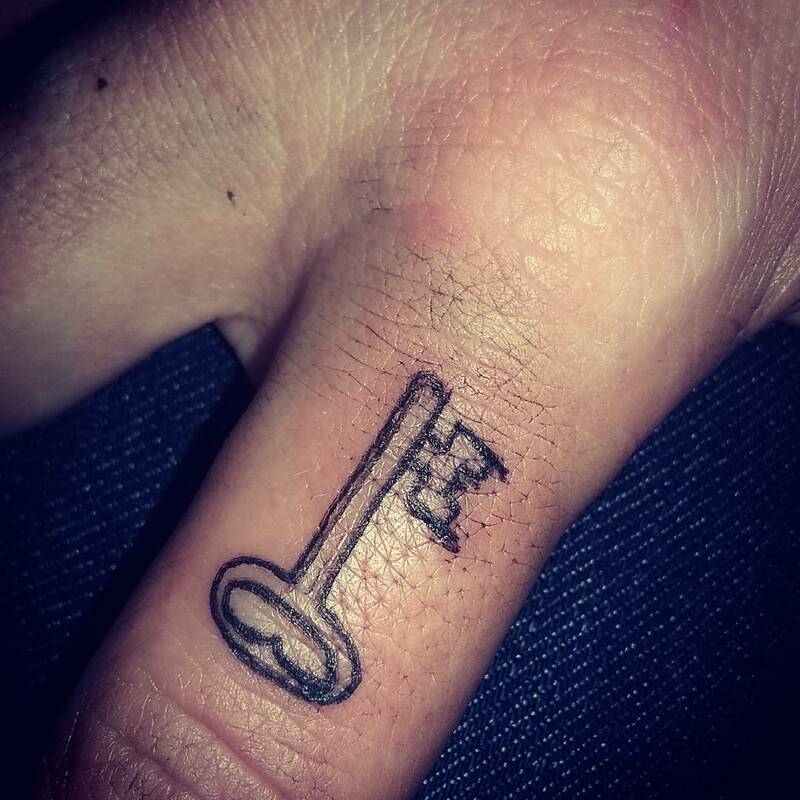 Whether big or small, classic or modern, key tattoos are cute and hold real significance for the wearer. 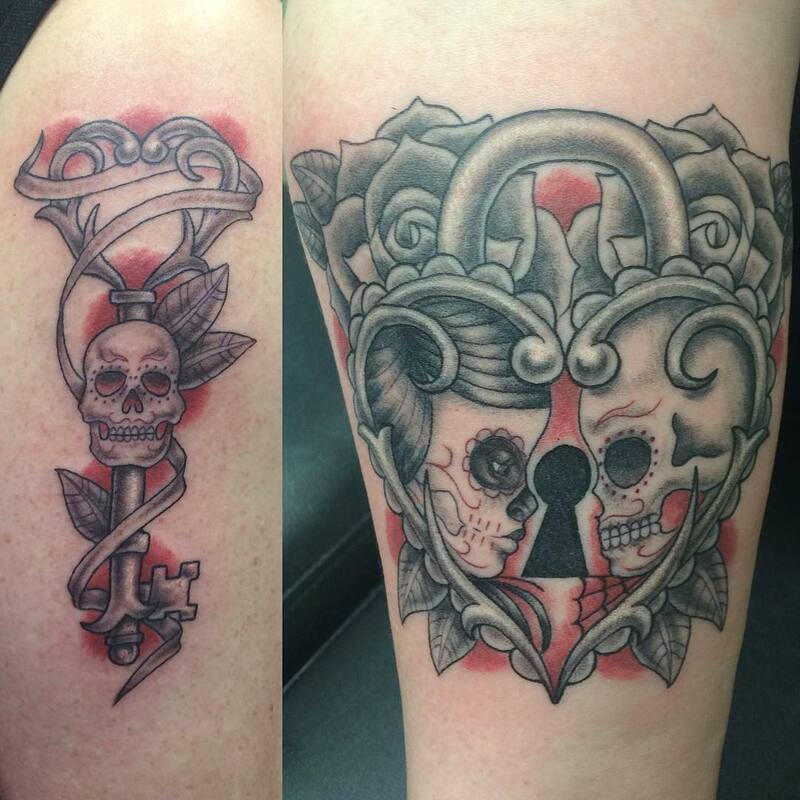 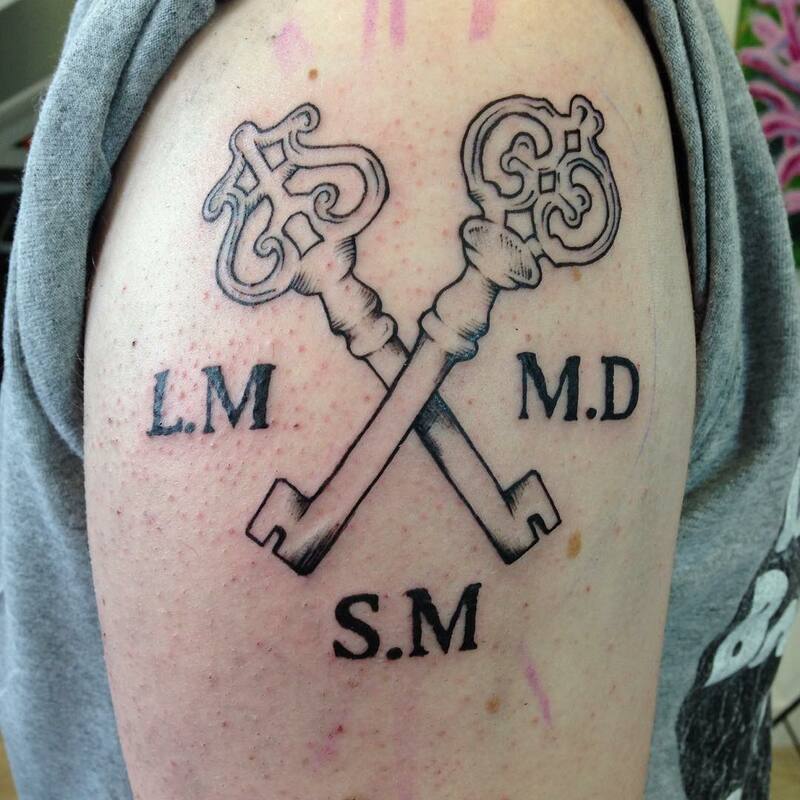 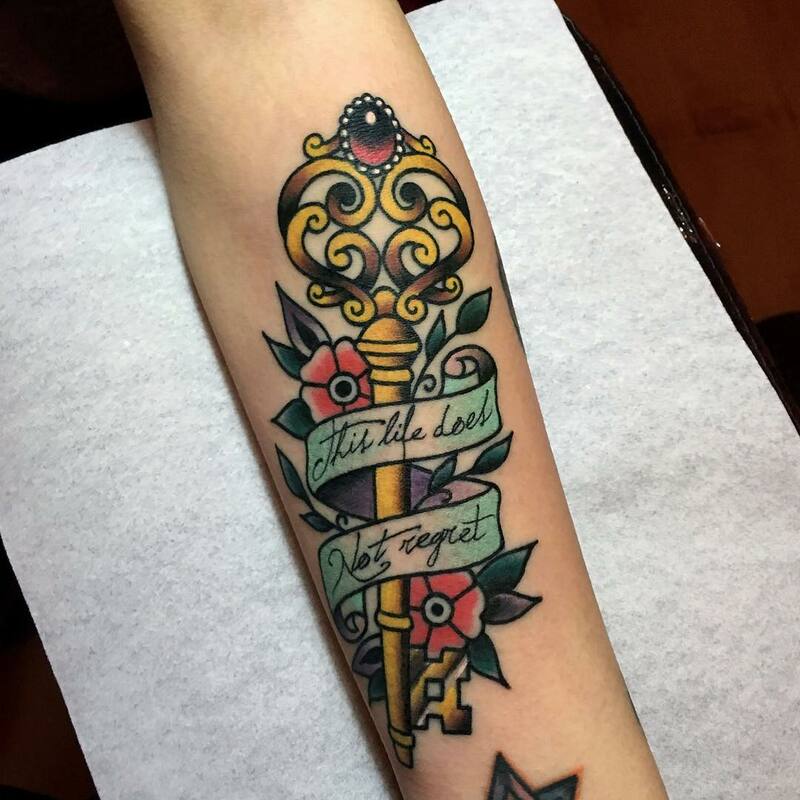 Skeleton key tattoos are very popular because of its vintage and stunning look. 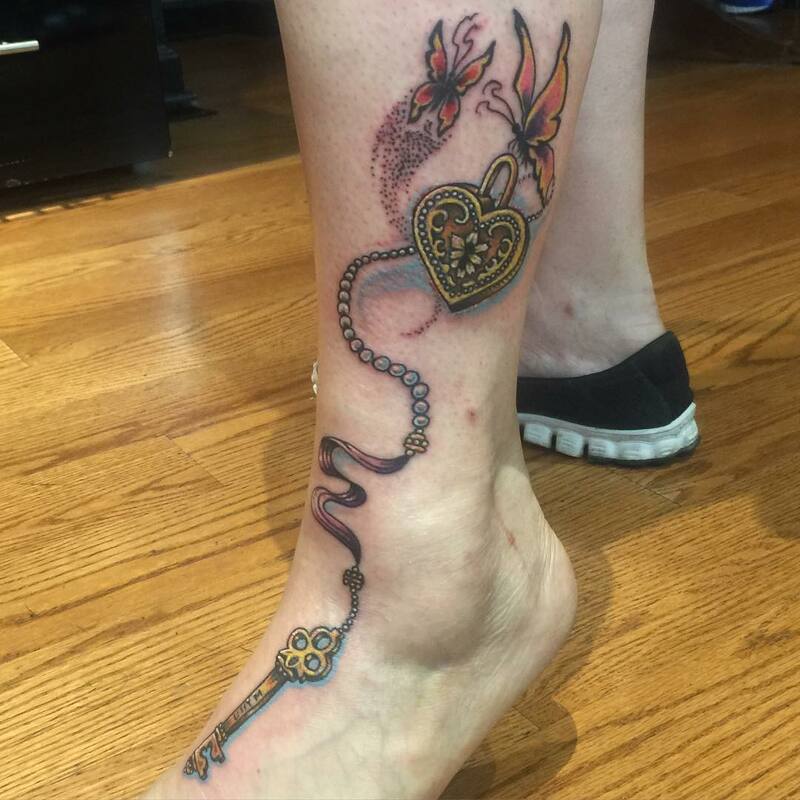 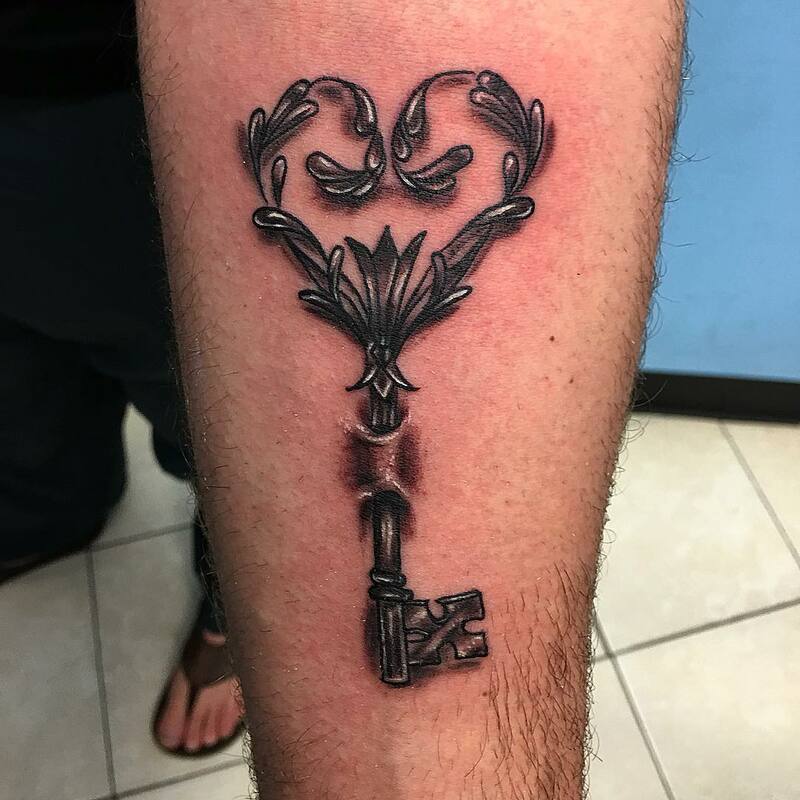 Tattoo artist can ornate and accentuate the beauty of the key tattoo with addition of a heart shaped lock, symbolizing love for that special person. 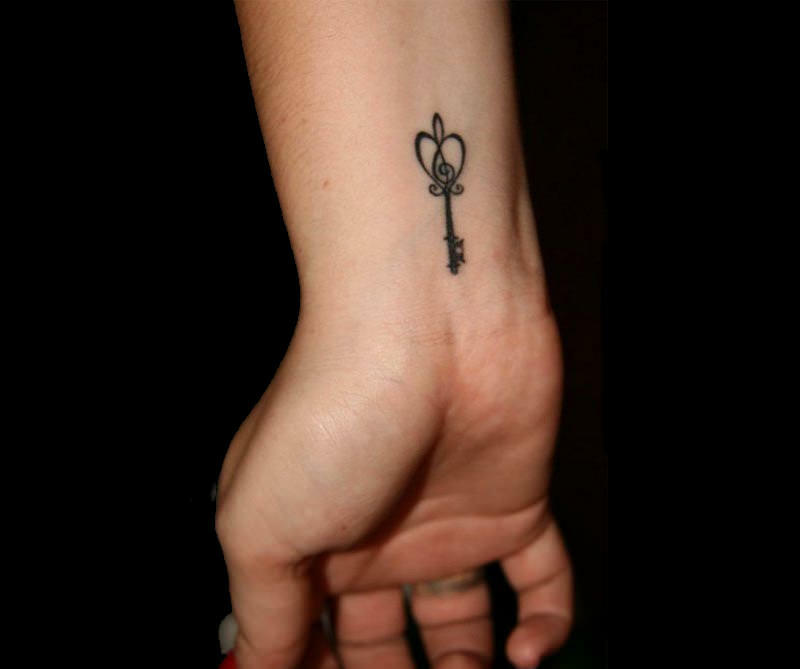 A key tattoo is a pure epitome of freedom, imagination, secretiveness, purpose and opportunity. 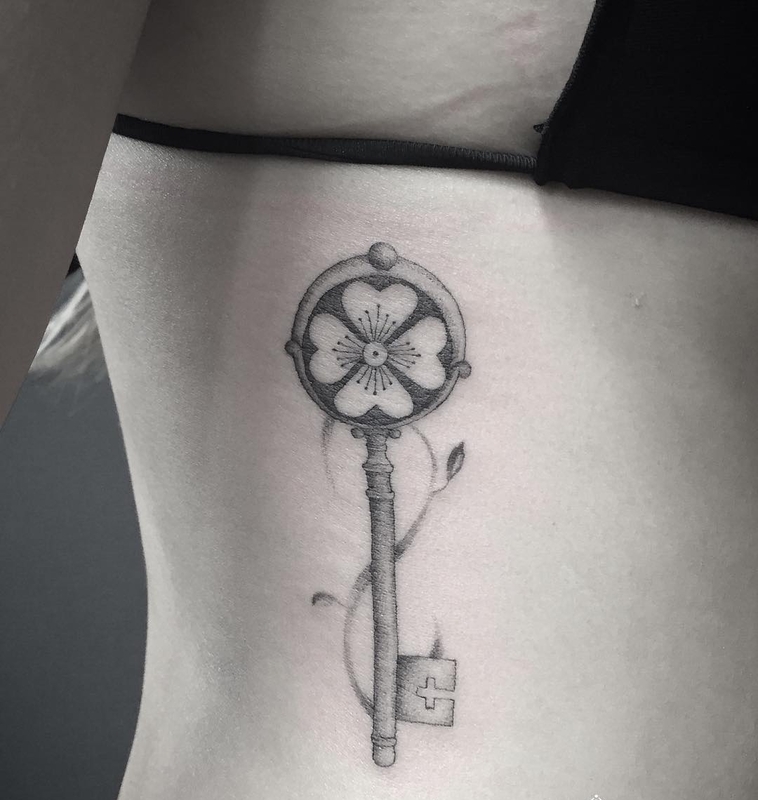 You can either wear a petite key tattoo behind your ear, on the wrist or on the finger or go for large ornate key tattoo on the upper back for a glam look. 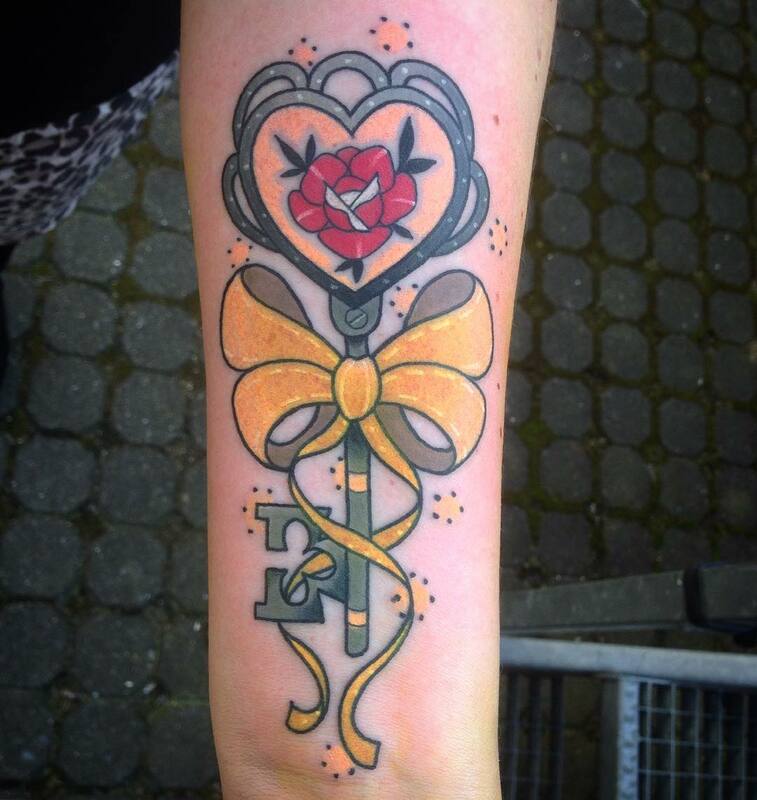 The color palette for key tattoo design includes a wide array of black, grey and all other bright and vivid colors. 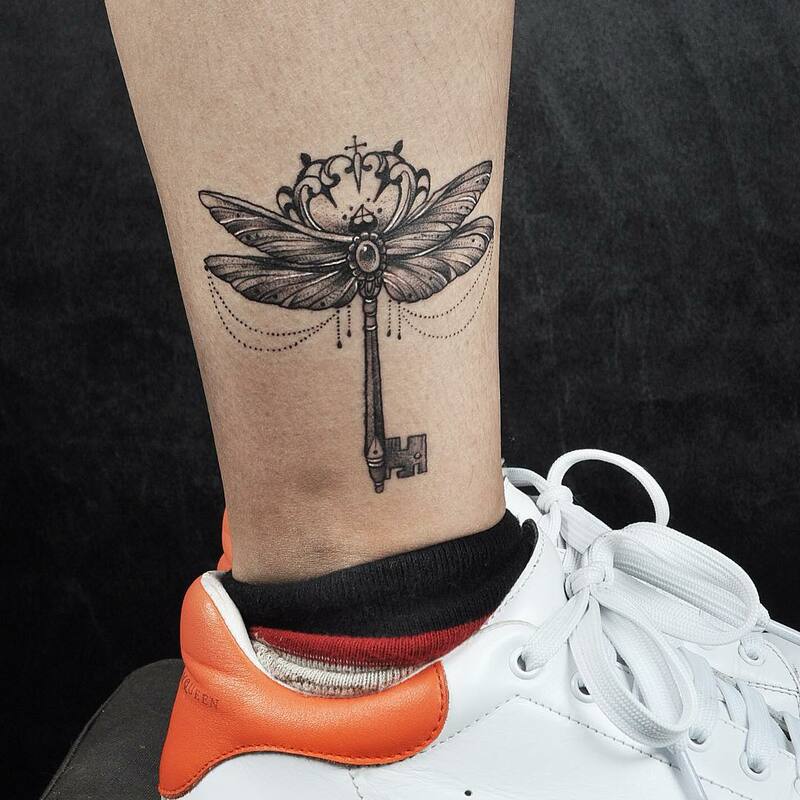 You can also flaunt this tattoo with the new school style or just dot work. 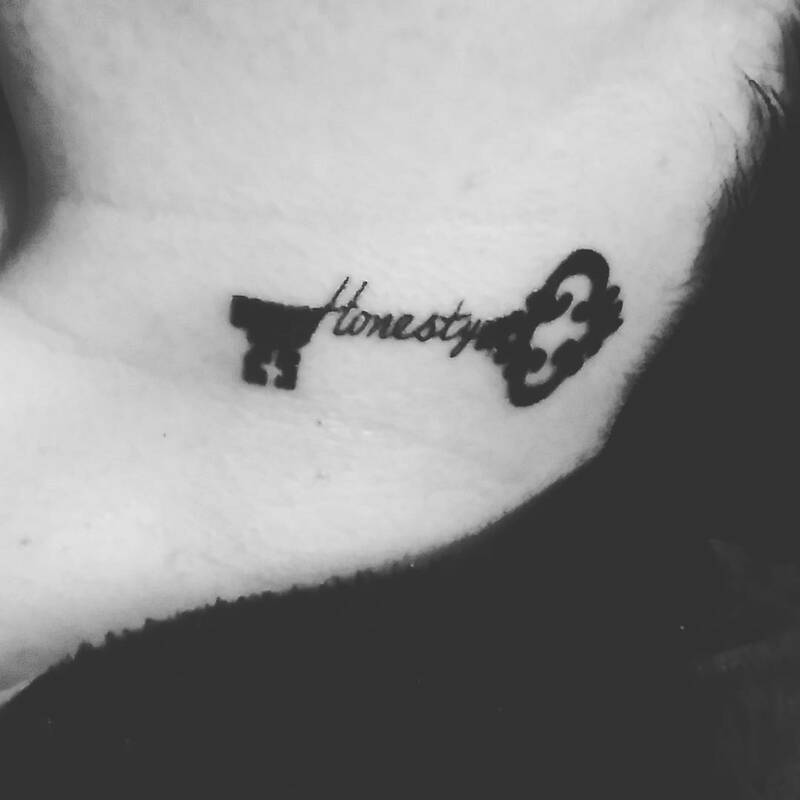 This tattoo design makes a personal statement. 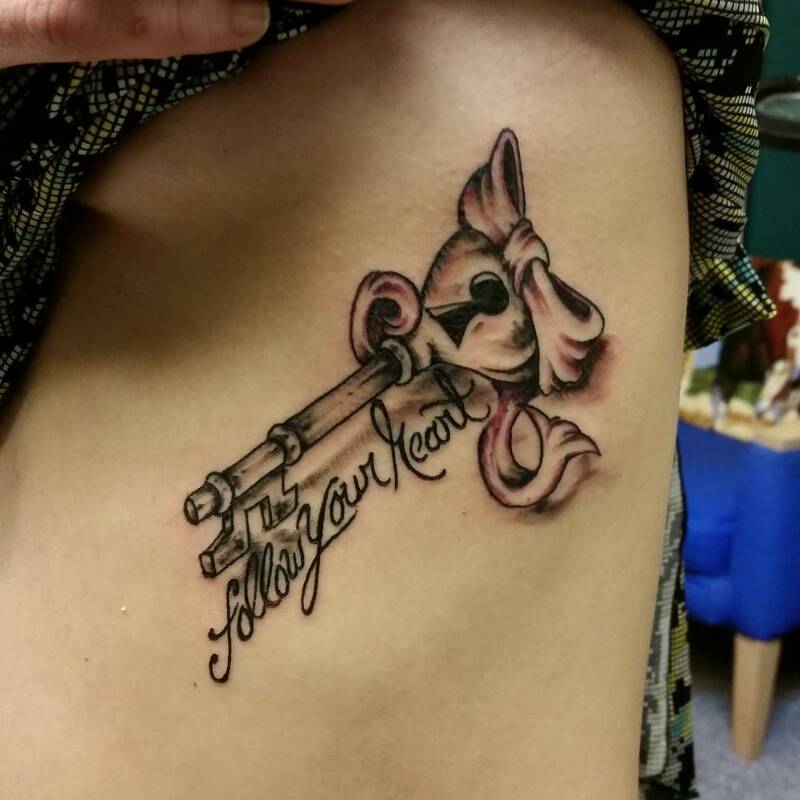 This tattoo is an embodiment of true love and passion for someone you love. 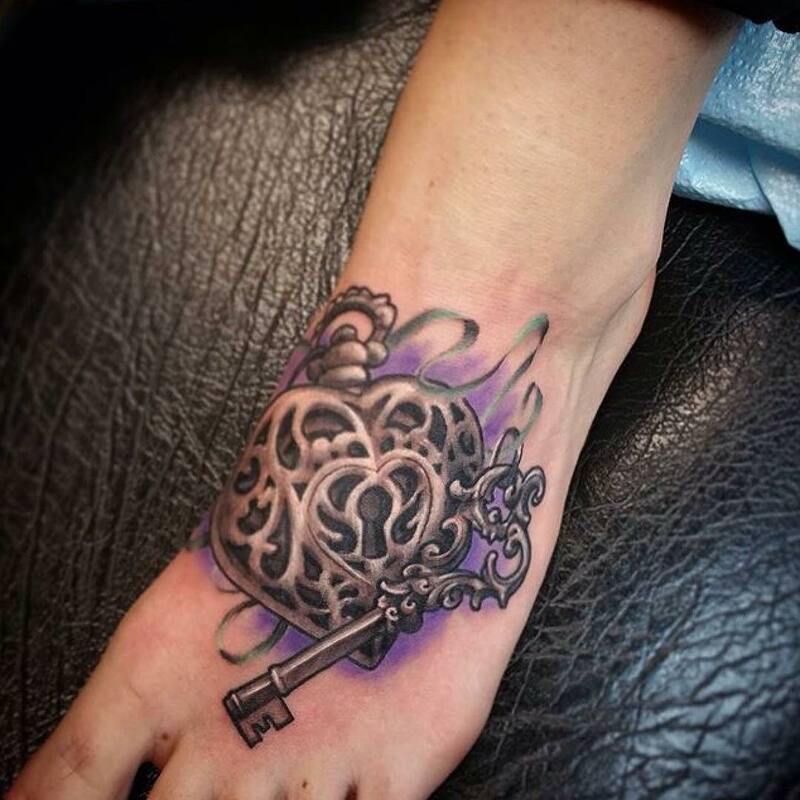 Some examples of these designs include a heart with a chain draped around it with a key. 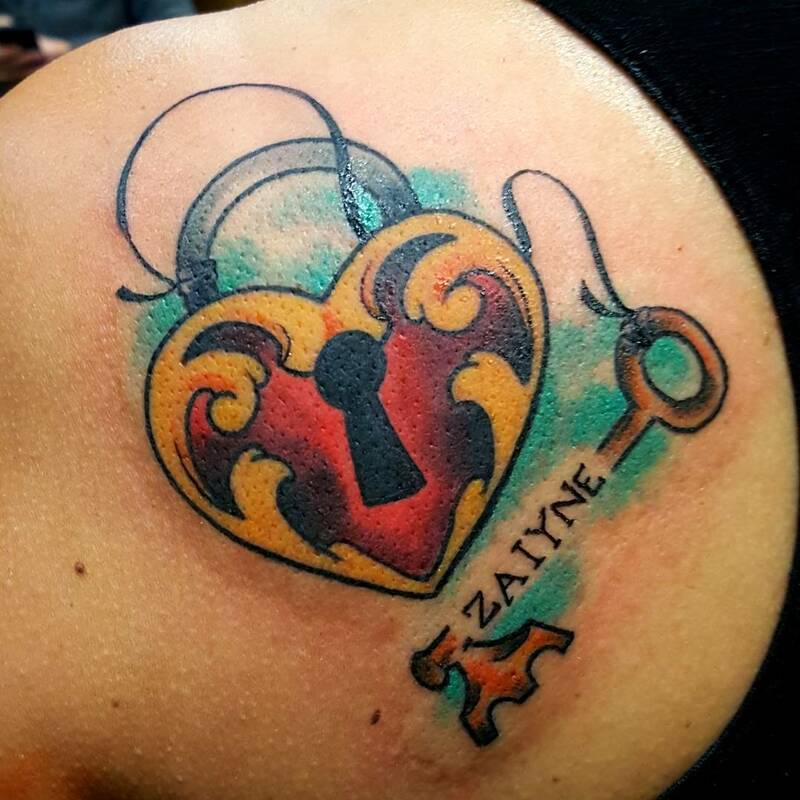 Negatively, this also can symbolize betrayal and heartache. 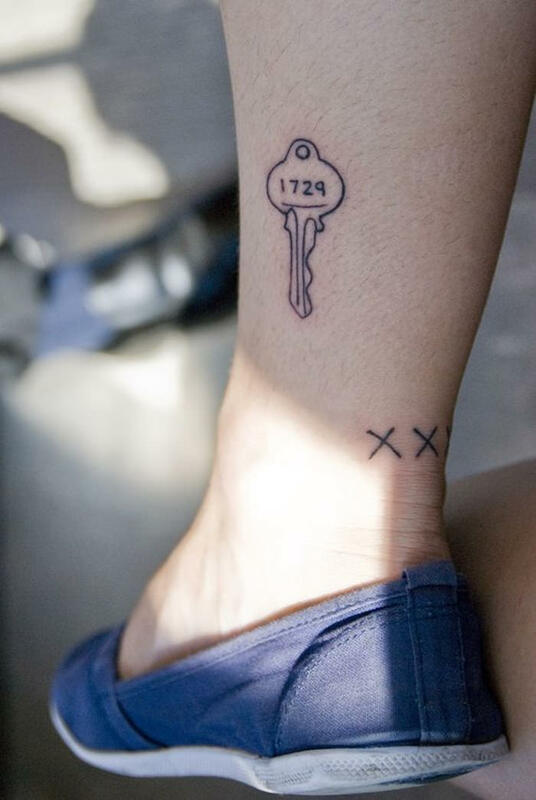 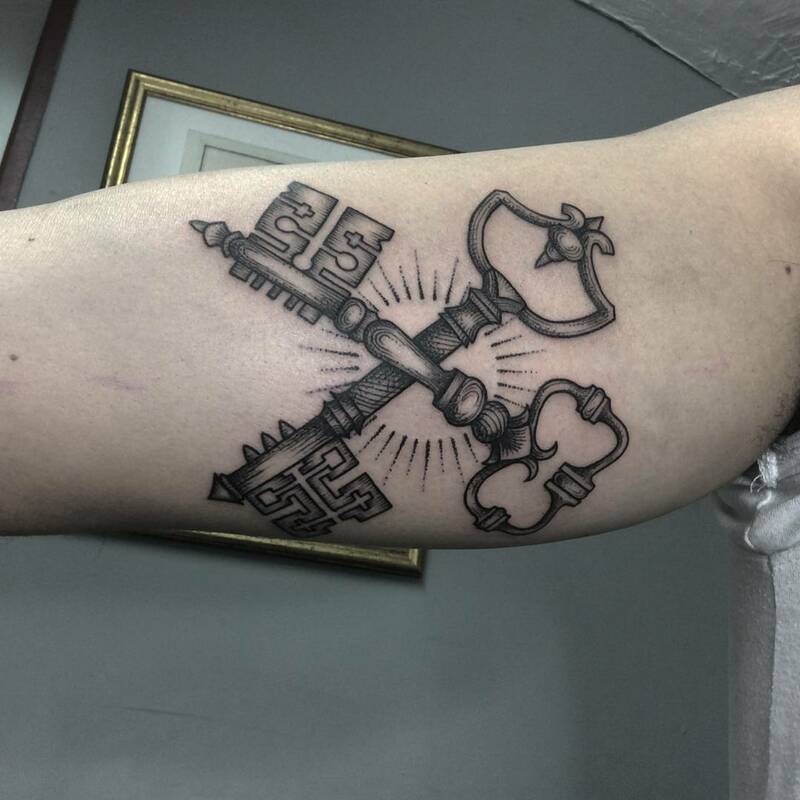 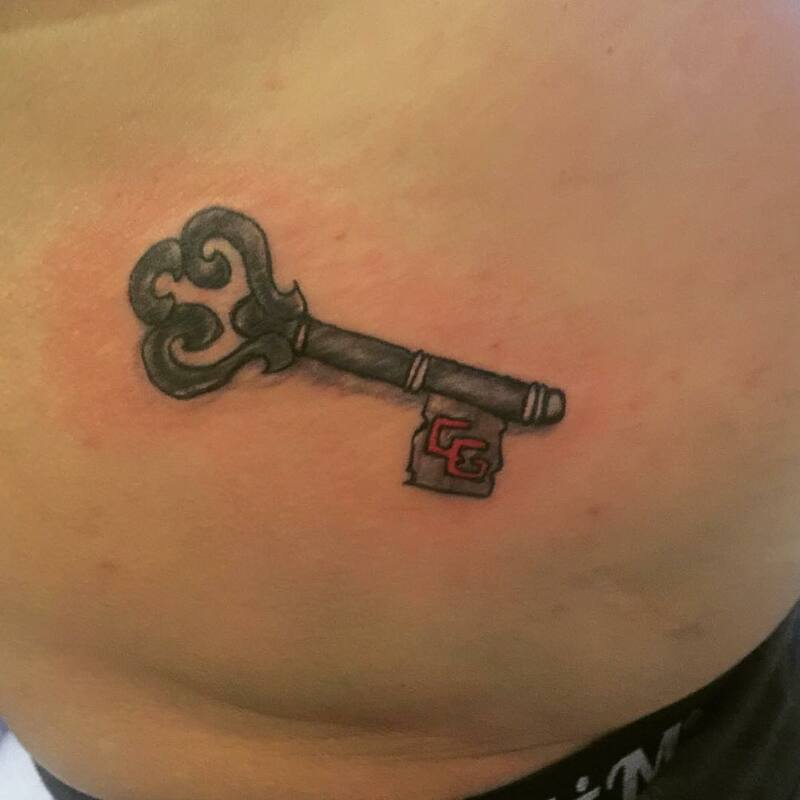 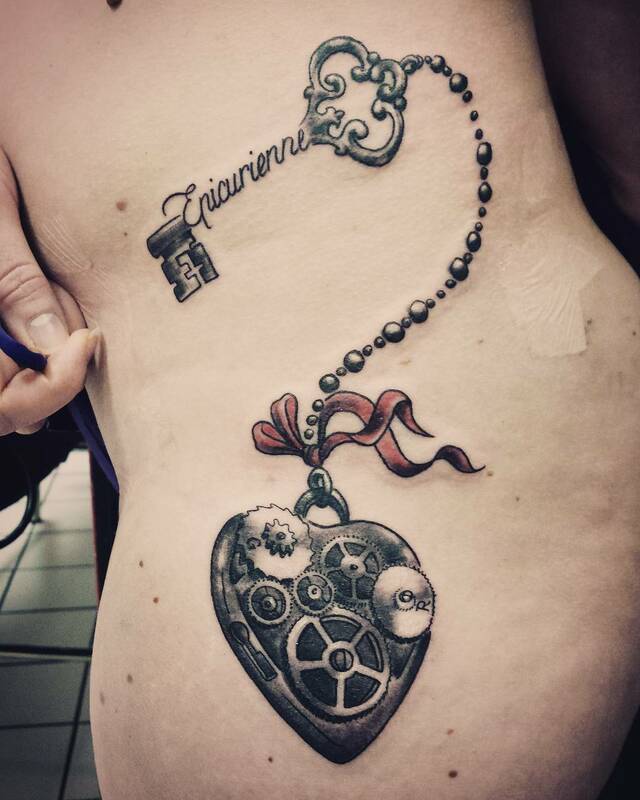 This is a unique design of key tattoos. 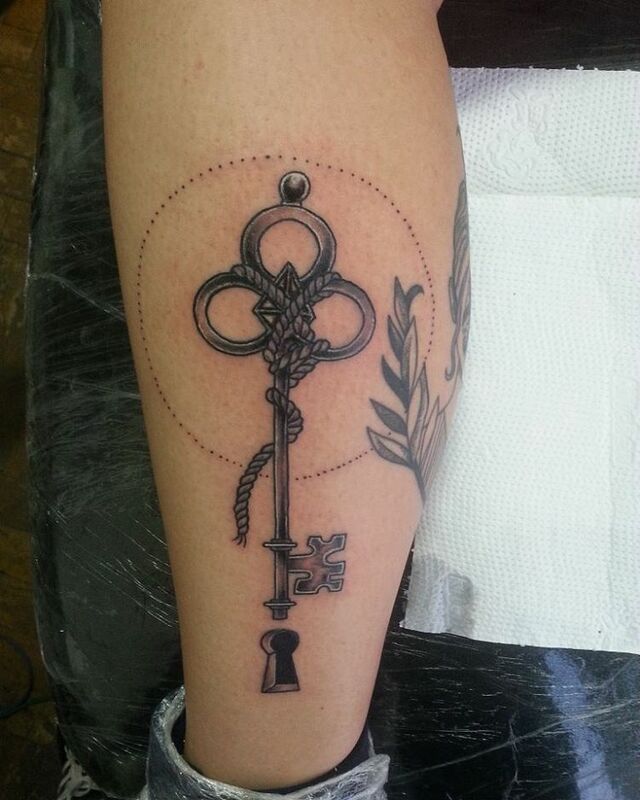 This design is for the ones who believe in numerology and considers keeping their lucky number with them all along. 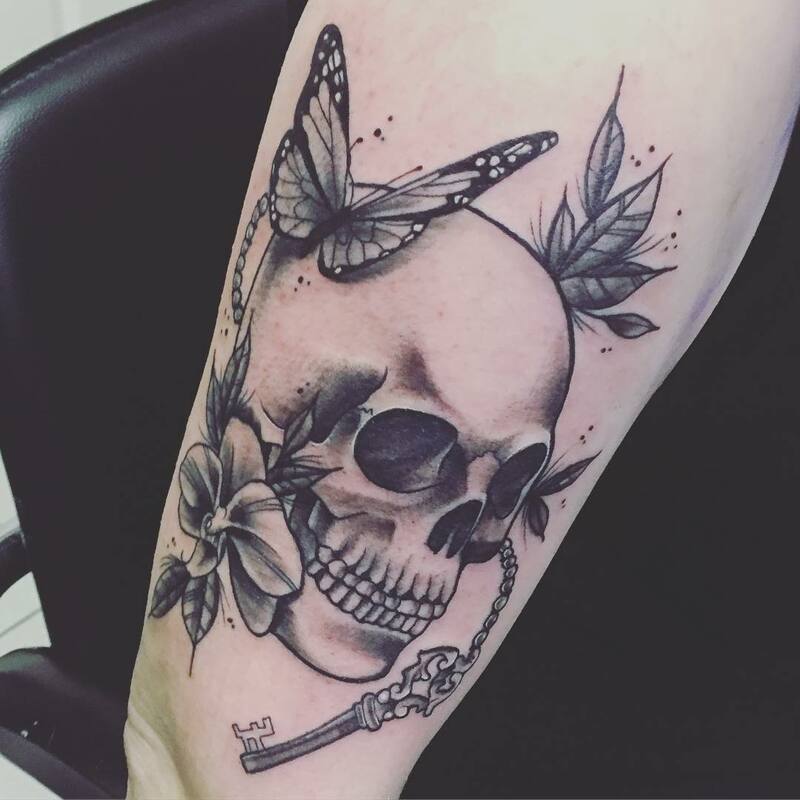 A pretty and charming tattoo design for all the lovely ladies. 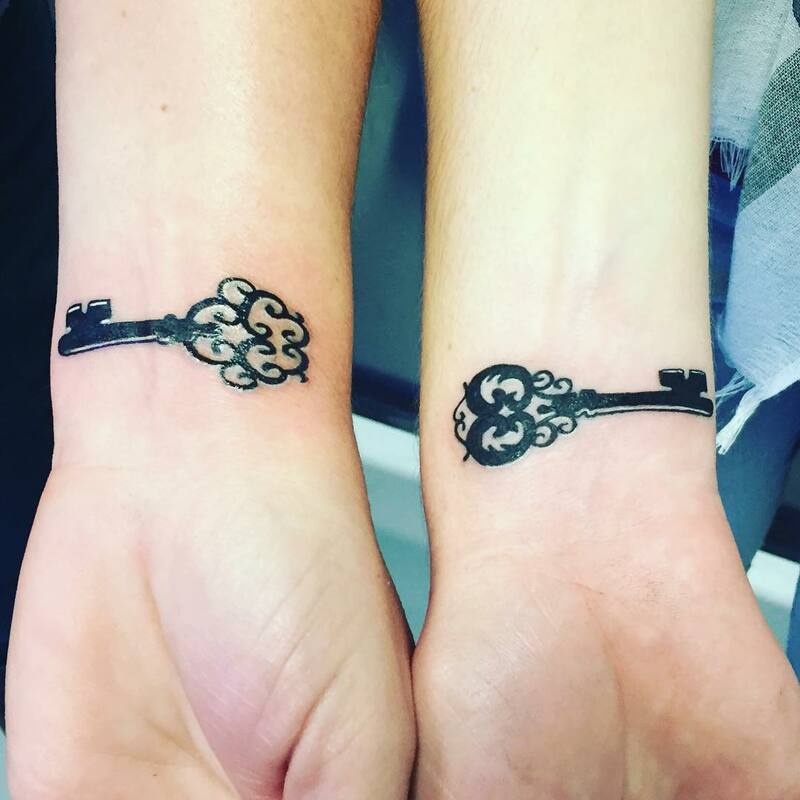 This denotes key to each other’s heart. 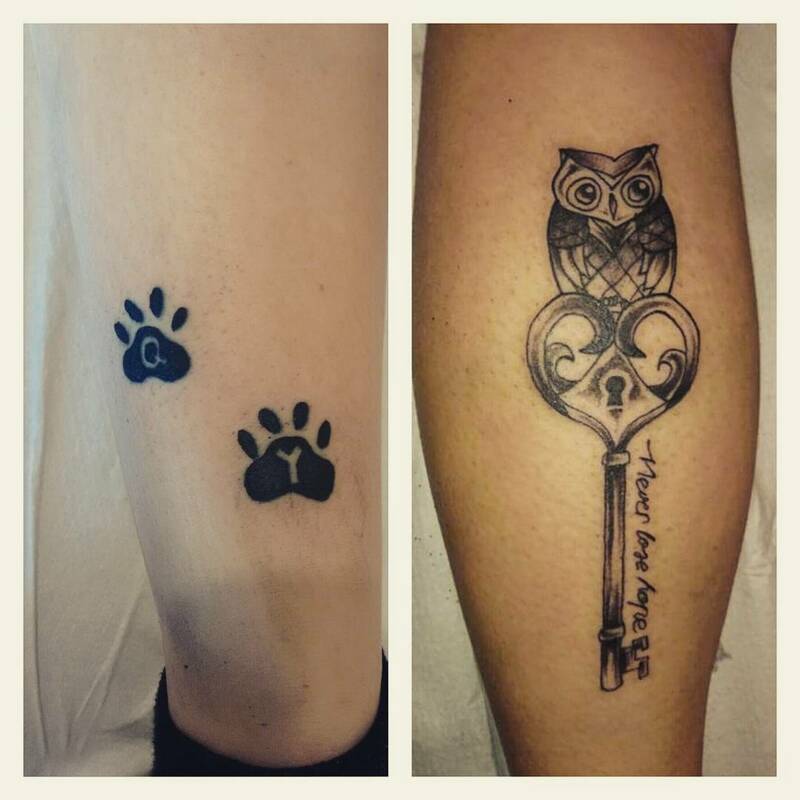 These are the most popular of the key tattoos because of their versatility in designs. 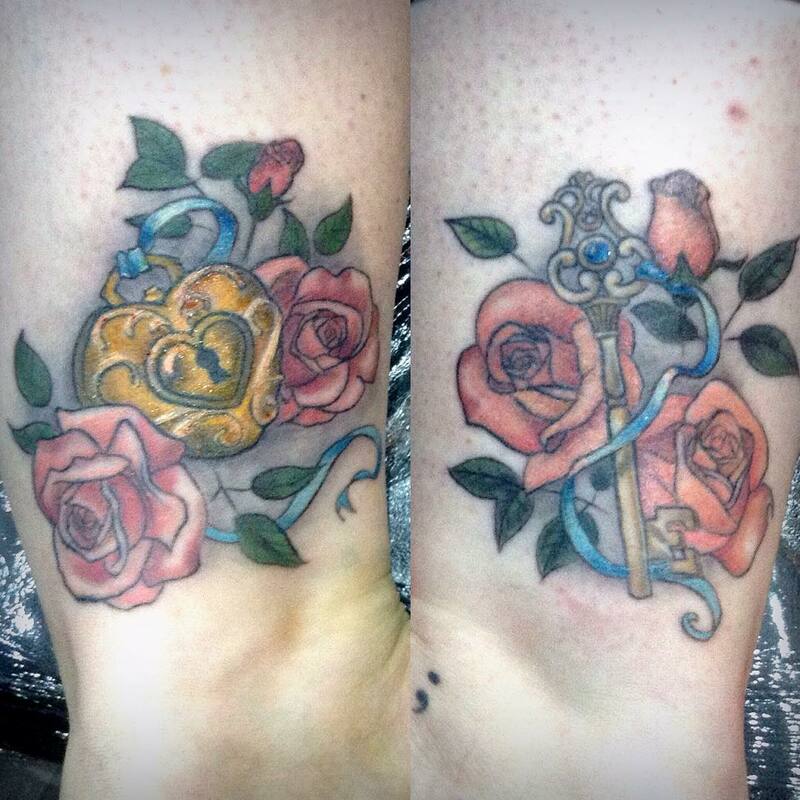 These can be made either plain to extremely embellished. 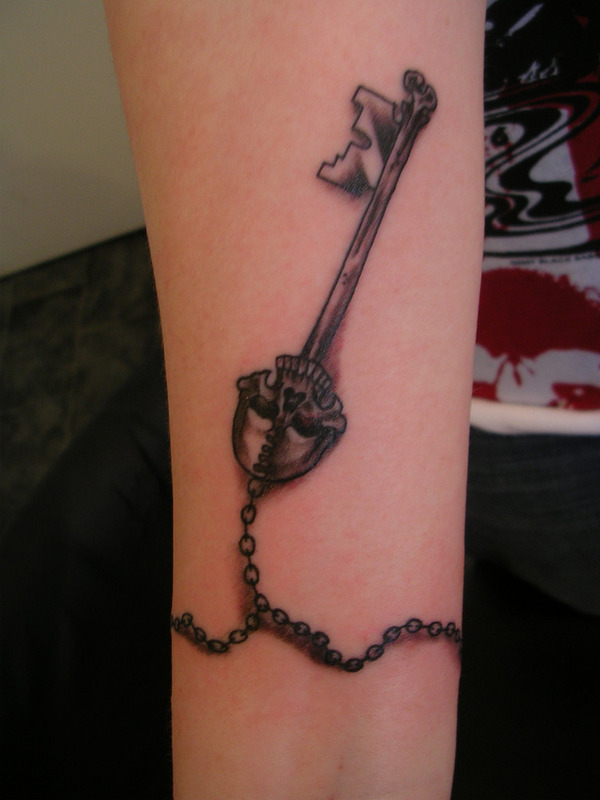 The skull key tattoo can be symbol of opportunity, life or death. 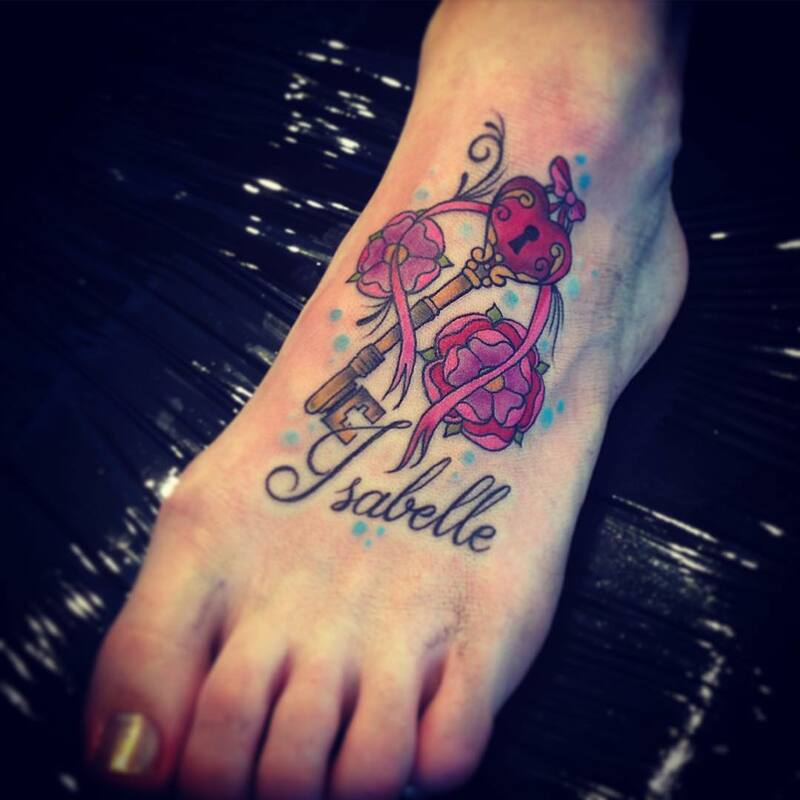 Cute, petite and utter feminine ; this design is all time favourite among girls. 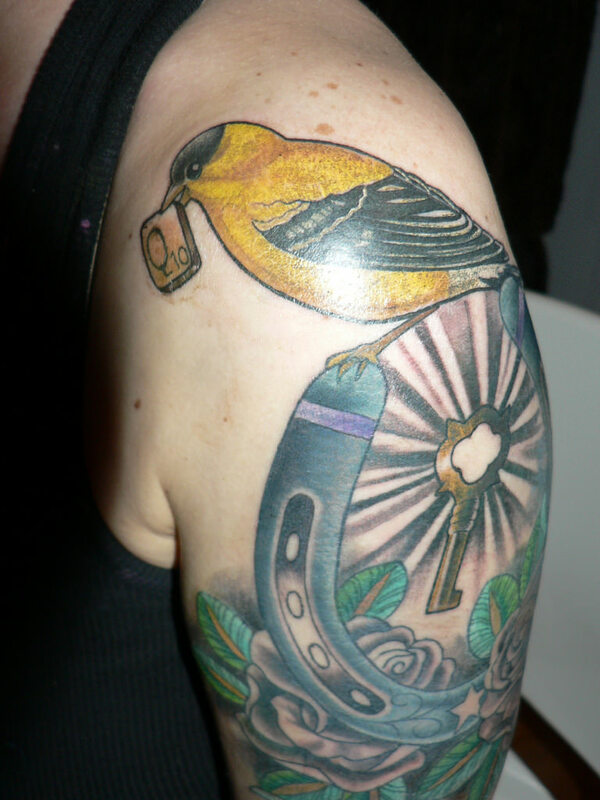 This tattoo design is a beautiful amalgamation depicting freedom. 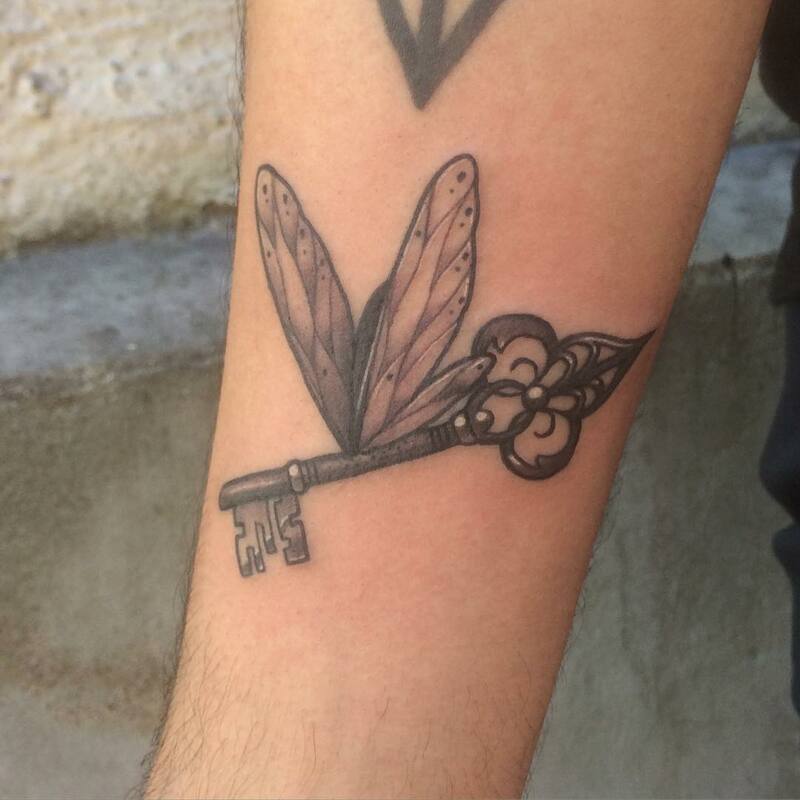 A key with musical notes is indeed a mesmerizing design.